The foremen of Uzbek painting dealt with modern and historical themes, and the genre of a modern portrait used to prevail in their works. From the end of 30s U. Tansikboev is said to nave come on the scene with his unique works on landscapes. Also, progressive trends on the development of sculpture emerged at that time. Alongside the foremen of the senior generation (A.Volkov, P. Benkov, N. Kashina, and others) several other young artists such as A. Abdullaev, S. Abdullaev, V. Yevenko, M. Nabiev, V. Jmakin, R. Fadeev, and others did well in the field. 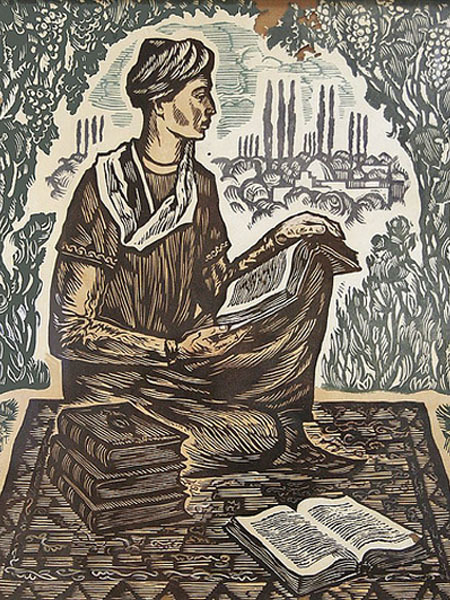 R. Akhmedov succeeded in portraits as well as genre and lyrics topics. 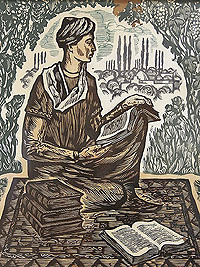 Paintings by M. Saidov are said to have always contained deep psychological and dramatic touch. The landscape paintings by N. Kuzibaev were also remarkable. Works by B. Jalalov and D. Umarbekov saw their popularity in 70s. They were unique and beautiful. The series of portraits by R, Choriev and B. Boboev reflected the beauty of the national culture. The 90s were a period of profound changes, establishment of the new spiritual space, when the notion of self-determination of the local peoples as well as renaissance of their national roots had acquired importance. Artists started to perceive rich national heritage, and there took place a fundamental transformation of the artistic thinking. Such complications and contradictions of development of arts during that historically vital stage certainly were irreversible and natural phenomena. Late 90s fine arts in the country has achieved a lot. It was enormously due to the establishment of the Uzbek Academy of Arts. The artists began to perceive arts as not a handicraft, but the product of philosophical conception of surroundings, and at the outcome, it led to enrichment of the content of work. Also, many young artists, as much as new styles and genres have emerged. The sculptors and graphics designers stepped up their activity. The independence of the country gave artists new- opportunities and allowed to concentrate more on the national topics and features of way of local life, depiction of historical personalities, almost forgotten during the communist era. 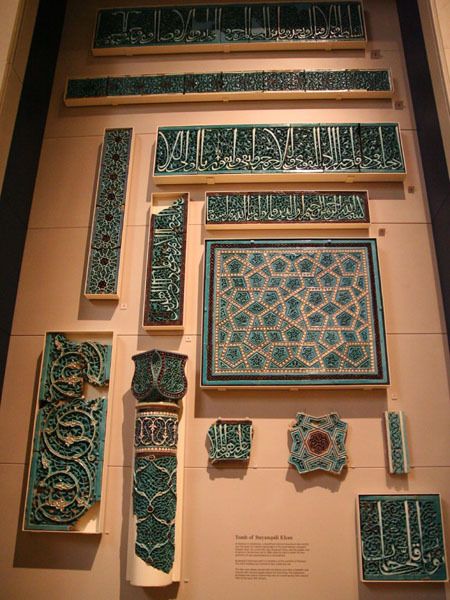 The republican art exhibition, namely "The most great, the most sacred", dedicated to the 8th anniversary of Uzbek independence, was held in the Central Exhibition Hall of the Academy of Arts in August 1999. More than 600 works of art, graphics, sculpture, design, peoples and decorative and applied arts went on display. Also, national costumes made specifically on historical analogs were displayed. In recent years, leading artists and designers, including i. Sadriddinov, F. Toshmuhammedov, K. Tursunov, and several others participated in number of exhibitions that took place in the U.S., India, China, Portugal, Bulgaria, Australia, Greece, South Korea, Japan, and others.